Cast your vote to protect the Caucasian Leopard! 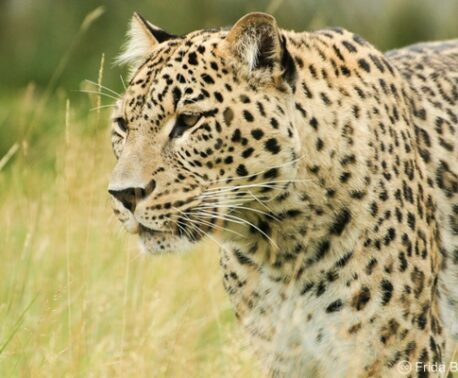 A project put forward by World Land Trust (WLT) to safeguard the endangered Caucasian Leopard has been selected for a public vote in National Geographic Germany magazine. The vote has been organised by the European Outdoor Conservation Association (EOCA). WLT’s project – Saving Armenia’s Leopard – is up against five other projects. EOCA will make a grant of €30,000 (approximately £25,000) to the project that attracts the most votes, which is why we need your help! People can only register one vote, so we are counting on our supporters to encourage their friends and family to vote as well. WLT has developed the project proposal in partnership with the Foundation for the Preservation of Wildlife and Cultural Assets (FPWC) with the intention of strengthening existing habitat protection for the Caucasian Leopard in the Caucasus Wildlife Refuge (CWR). There are fewer than 1,300 Caucasian leopards left in the wild. Most are in Iran, with as few as 10-15 remaining in Armenia. 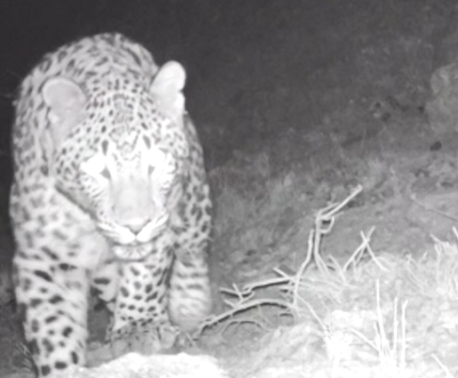 In July 2013, video camera traps funded by WLT captured footage of a large male Caucasian Leopard in the CWR. The images were a breakthrough – they were the first pictures of a Leopard in Armenia since 2007 – and significantly boosted conservation efforts to save this endangered species. 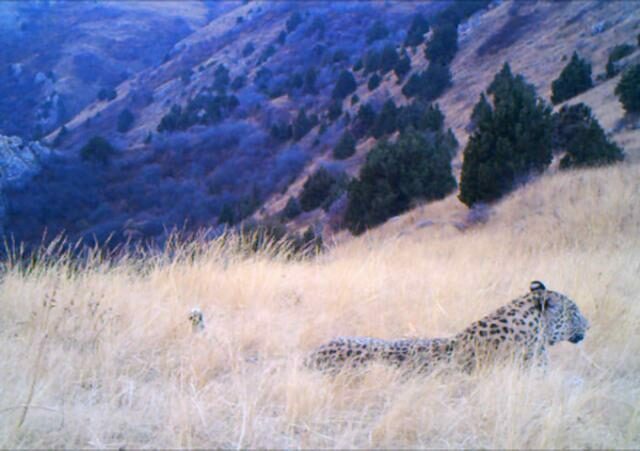 Building on existing conservation measures, the Saving Armenia’s Leopard project will enable scientific research and monitoring at 15 sites within the CWR, and each site will have a camera trap with GSM (mobile networking) capability. The first year’s findings of the camera trap survey will be published in 2015. Equipment and field guides are essential and the project will also provide funding to equip FPWC’s ranger team with hiking boots, binoculars, GPS, torches and survey materials (eg field guides) to help them better monitor wildlife in the CWR. Data collected in this more traditional way is important, particularly when recording smaller and less conspicuous species such as reptiles, amphibians and insects. Restoring native habitat is a key component of the project with a programme to plant 4,000 native trees palatable to key wildlife species, particularly Bezoar Goat, Armenian Mouflon and Syrian Brown Bear on four hectares of degraded land in the CWR during 2014. Ecotourism, when carefully managed, can complement conservation measures and, among other things, the project proposes to extend five recreational trails and to develop and print flora and fauna brochures and hiking maps. Although the charismatic Caucasian Leopard is the headline species for the project proposal, the conservation measures will also benefit other threatened large mammals in the reserve including Syrian Brown Bear, Grey Wolf and Caspian Red Deer. WLT’s project has been nominated by Nikwax, a WLT corporate supporter and member of the European Outdoor Conservation Association (EOCA). EOCA is an association of 109 businesses from the European outdoor industry who raise funds to put directly into conservation projects worldwide. Since its founding in 2006, EOCA has supported 54 projects to the tune of over €1.2 million (approximately £1 million) and, as a not-for-profit organisation, every new member that joins EOCA means more money for more projects. EOCA has committed €200,000 (£170,000) to conservation in 2014. WLT has been supporting conservation protection measures in Armenia in partnership with FPWC since 2010. WLT has been running a special appeal to Save the Caucasian Leopard since 2012.